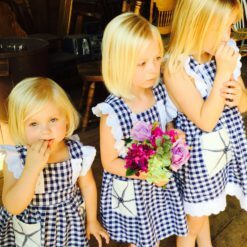 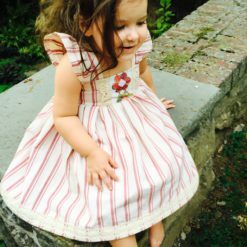 Our newest French Country dress is quickly becoming a new favorite. 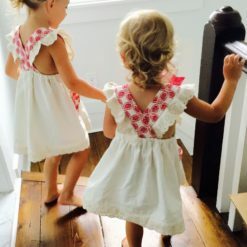 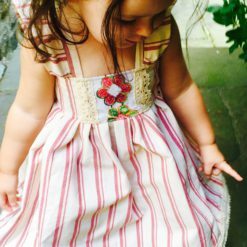 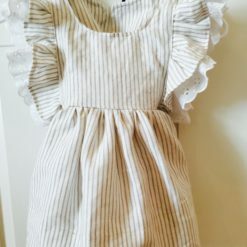 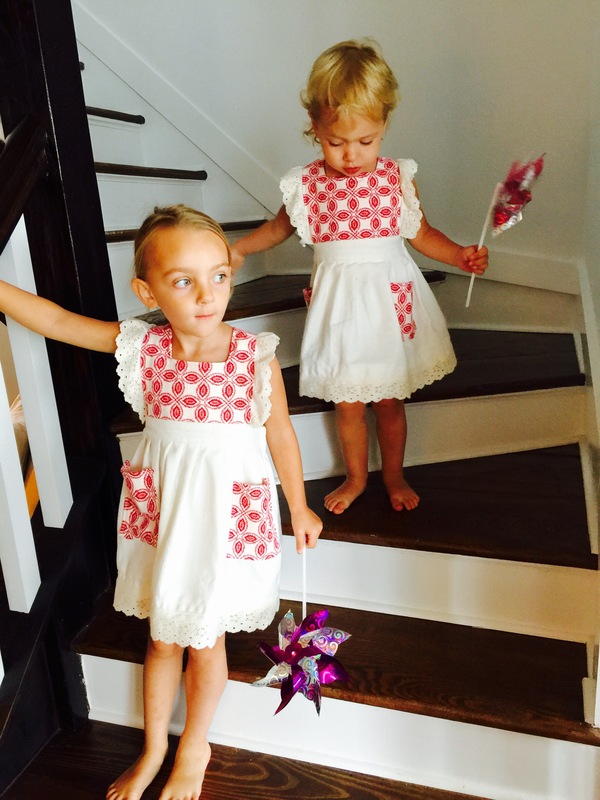 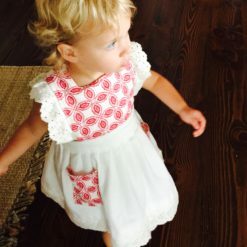 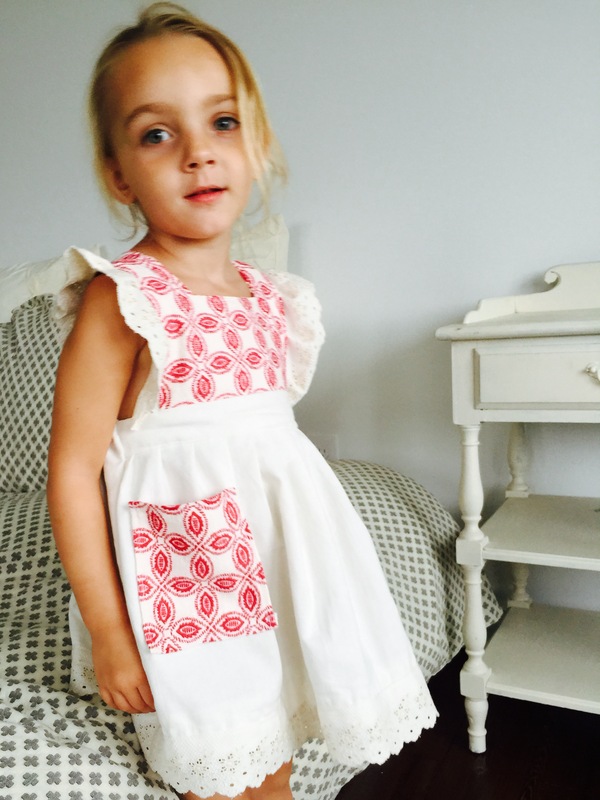 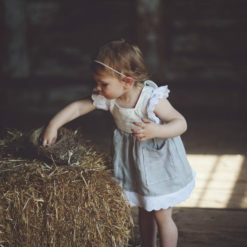 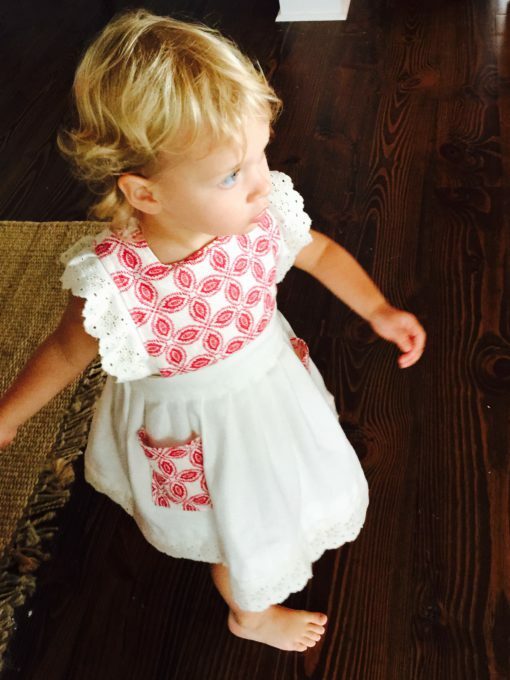 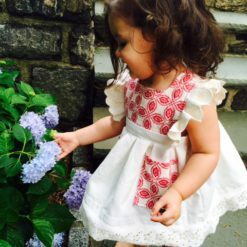 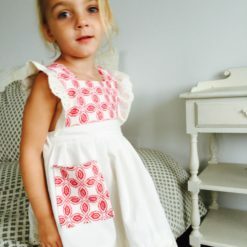 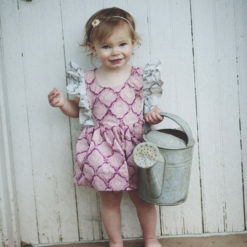 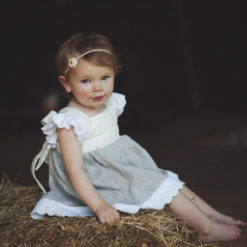 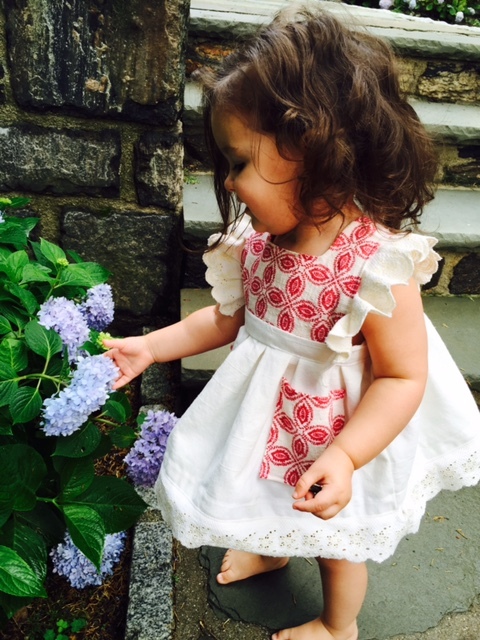 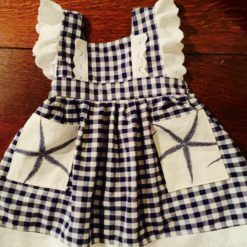 This handmade pinafore is made using a vintage cotton linen white fabric and a beautiful thick red and white pattern on the top. 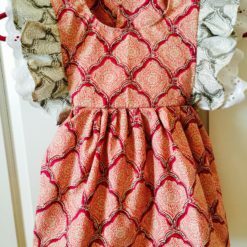 The trim is vintage embroidered eyelet from Barcelona. 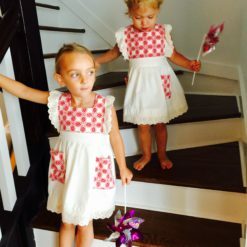 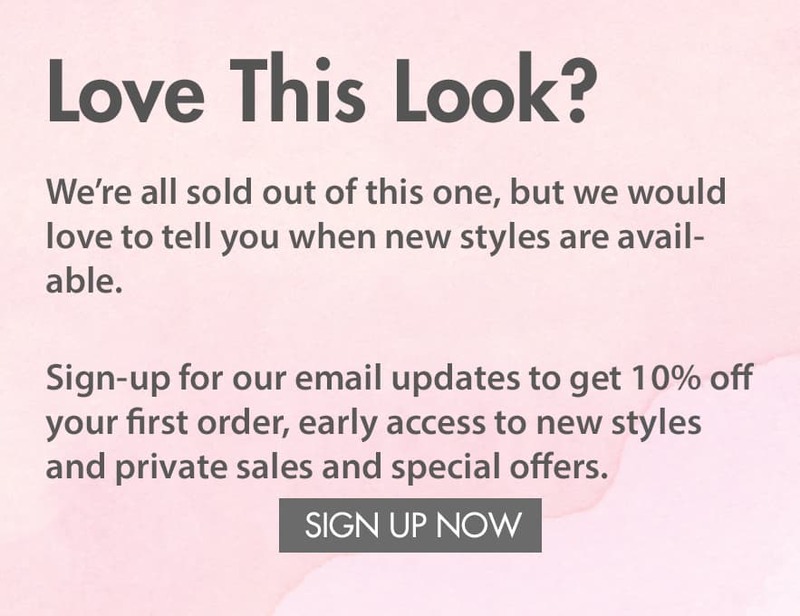 Each dress is designed to be unique and different, so no two will be exactly alike. 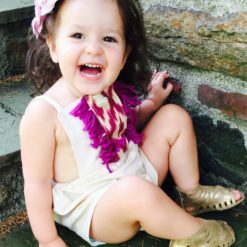 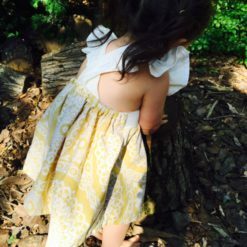 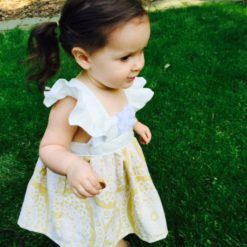 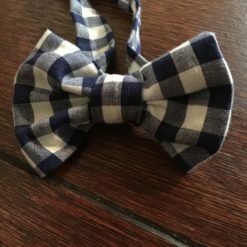 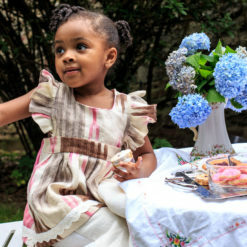 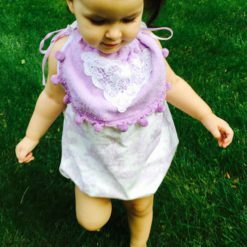 We use the highest quality fabrics and trim and all fabric is pre-washed and preshrunk. 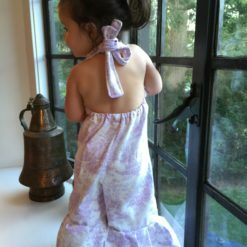 Most, if not all, of our designs use a vintage element. 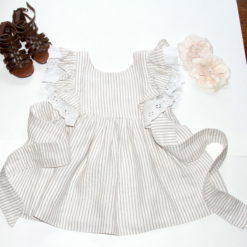 Straps have ruffles and two button holes to adjust length. 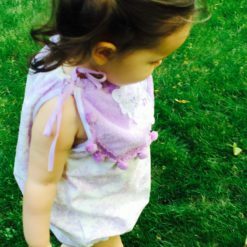 Lower back has elastic for comfort and flexibility for use of a top afterwards.